Neck trauma are the most complex and tricky injury to treat for different reasons. In particular, in the neck are based most vital parts. In addition patients with neck trauma may appear stable and only afterwards the injury causes problems and complications. This is why is essential to know absolutely well the neck, how it is made, what are the signs tha must make us suspect a neck trauma, which are the zones to treat according to the diseas of the patient, and so on. 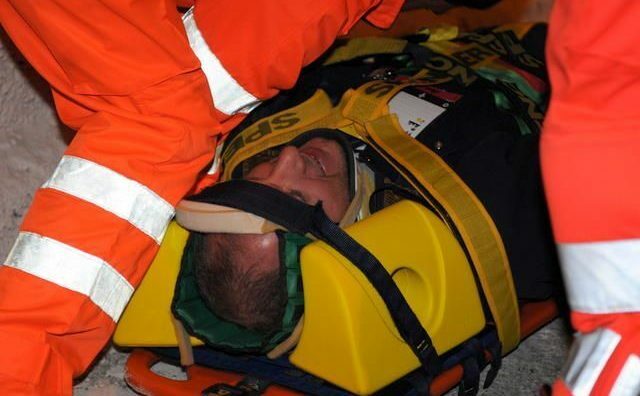 So, what are the important aspects a prehospital operator must bear in mind to discover or/and treat a neck injury? Zone III (upper neck) – above the angle of the mandible: distal carotid artery, vertebral artery, distal jugular vein, salivary/parotid glands, CNs 9-12. Stable patients should be evaluated for “hard” and “soft” signs. “Hard” signs indicate the need for emergent management, i.e. surgical consult and operative intervention. “Soft” signs indicate close observation and reevaluation, though not necessarily surgical intervention.